If anyone should be, so I can add and anime in your FTP. Of course also in excellent quality. You Need? I almost got all the necessary disks and will soon update the collection. Update Initial D Music Collection. At all from my side it is useful to write a complete list, but it's so long. So I'll just do a screenshot. Image size reduced, original size: 652 x 758. Click here to view the image in its original dimension. I picked up an FTP server on the new equipment. While no restrictions. Thanks ever so much been looking for HI NRG 80's for a long long time you rock!!!! Words cannot express how grateful I am for your collection. There doesn't seem to be any Eurobeat on the FTP? I wish I was able to access the FTP for some reason the sites not loading. 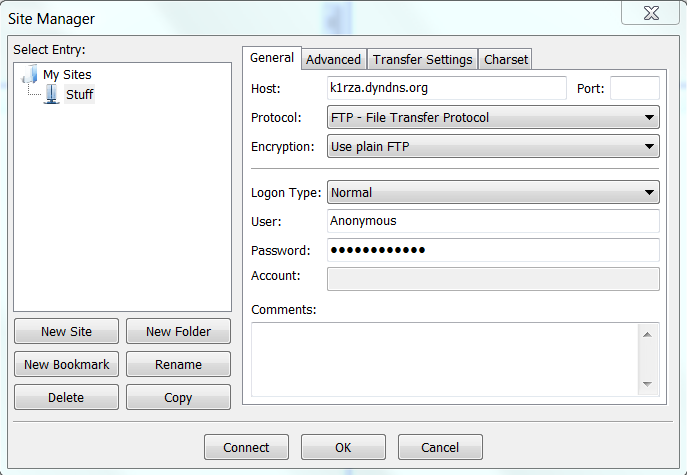 Using FileZilla, I'm accessing his FTP just fine. I have never used filezilla. Are you using the Filezilla client or the Filezilla server? The client. The server is only if you want to setup your own FTP. downloaded the client. 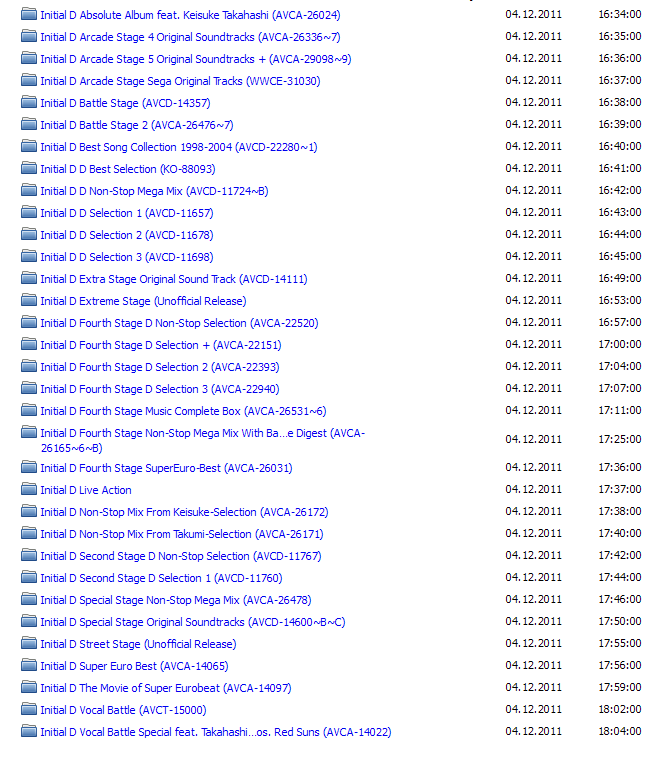 only problem is im not finding any eurobeat at all only soundtracks and game cracks. When I connect, I have two folders available Eurobeat [flac] and Eurobeat [mp3]. at this point, I can't help you further... it can be anything now. Firewall, ISP block, etc. Or it could be something really stupid. P.S It's a plan FTP conenction, to SSL or anything. What are your settings? Can I get another screencap for that?